"Music is LIFE. Music is LOVE. Music is ME." Hello everyone! 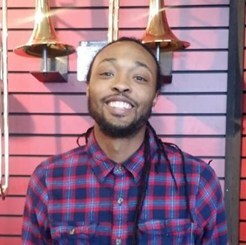 My name is Joseph Mills III and I am very excited to be a part of Music & Arts. I originally was introduced to music at a very young age growing up in a church environment. Very early on, I grew a love for music and joined band in middle school playing the trombone. Very quickly, I found a new love for the baritone/euphonium and carried that love on onto college, earning my Bachelor's Degree in Music Performance with a concentration on euphonium. Upon graduation, I knew that music could be displayed in so many ways and decided that my passion was truly for creating music in all forms, developing my own music studio. I am here for the love of music and very excited to help you with all of your musical ambitions.